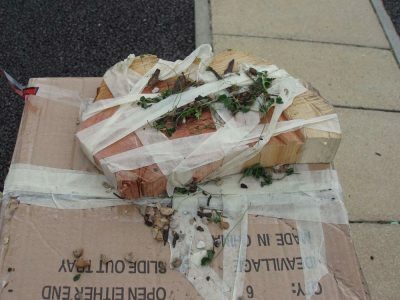 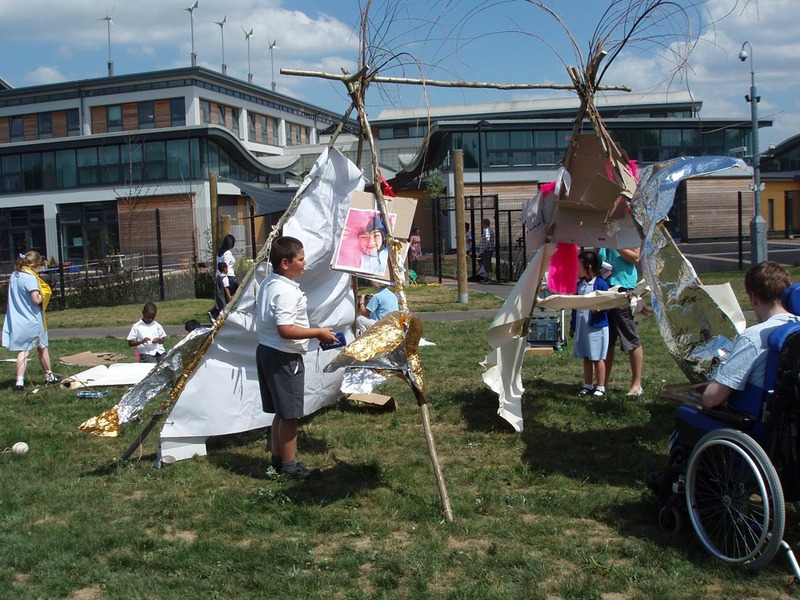 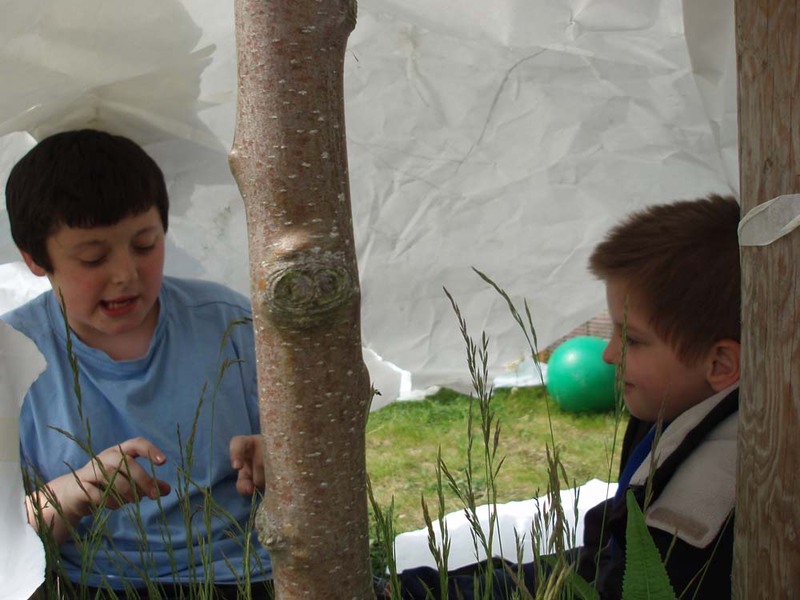 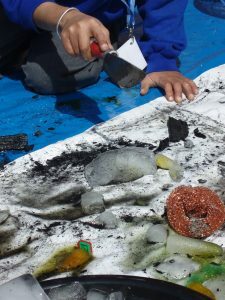 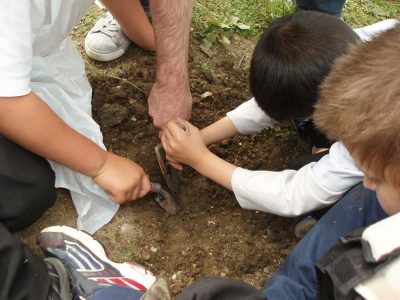 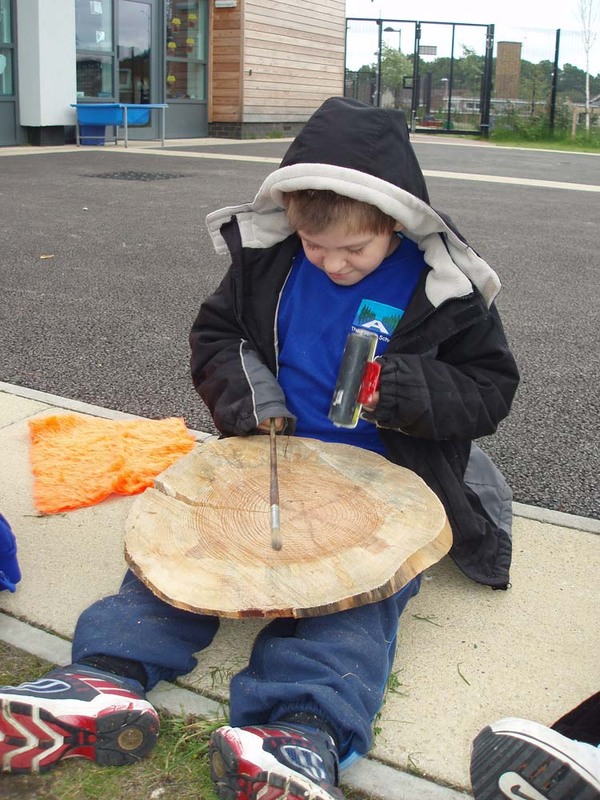 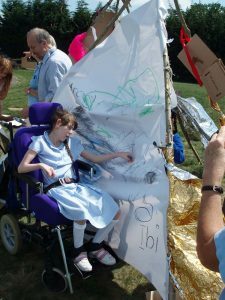 In what ways can the practice of increasing sensory awareness of particular spaces and natural materials be developed by staff and pupils to increase the effectiveness of the teaching/learning curriculum? I worked with 2 classes: ASD and a PMLD / MLD mixed group. 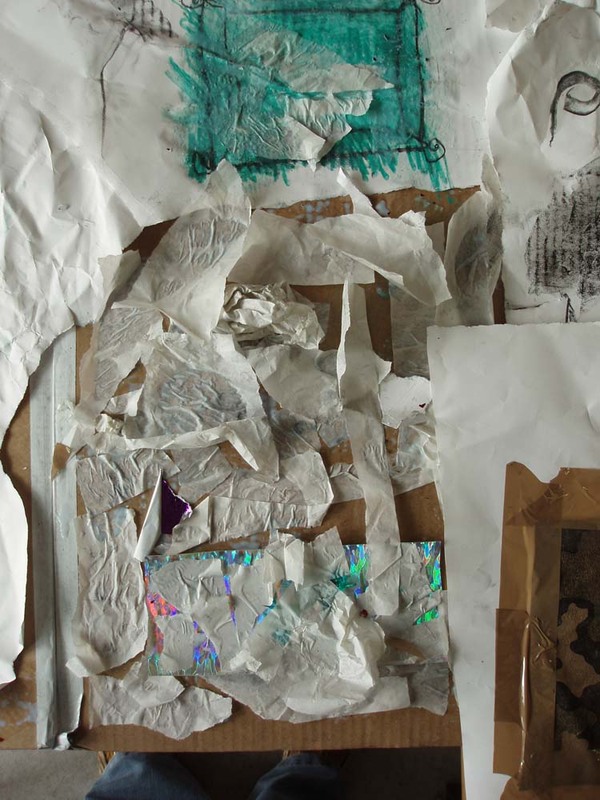 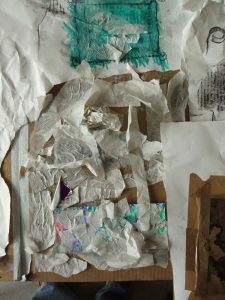 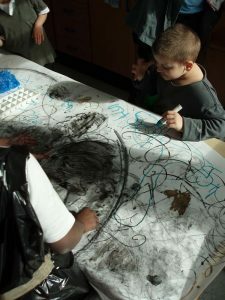 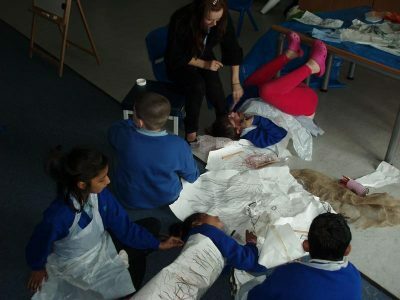 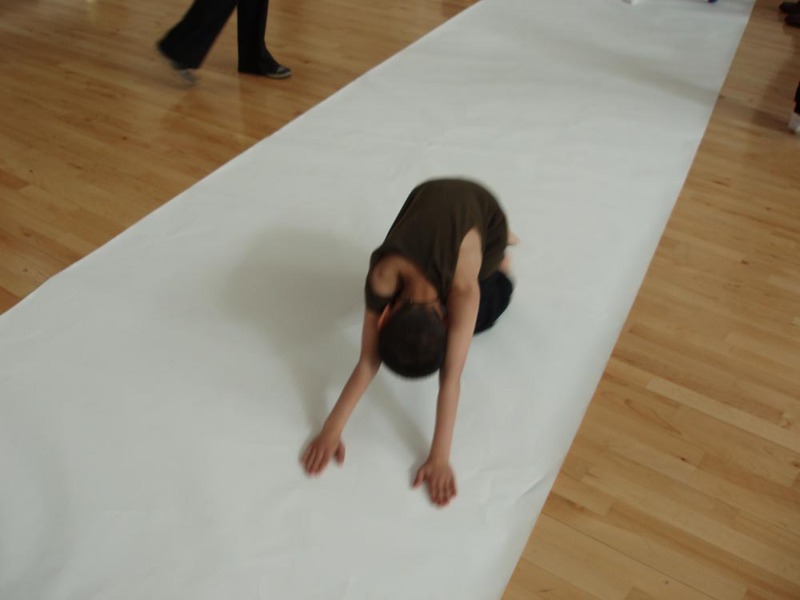 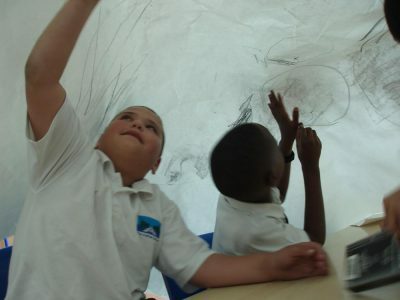 We explored the physical space through large scale physical drawing with the whole body, exploring ice and many other materials. 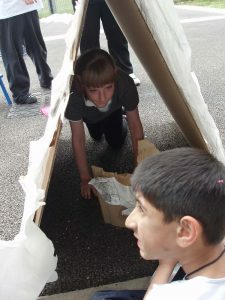 We made cardboard and paper dens, structures for developing communication, sensory and motor skills, and construction skills. 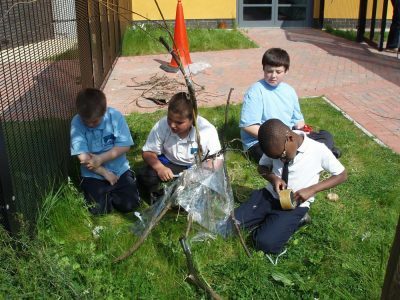 We created a legacy for the work rather than deliver a finite result- so the staff and students would continue to develop new ideas and outcomes. 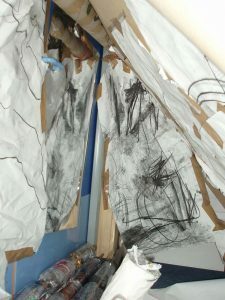 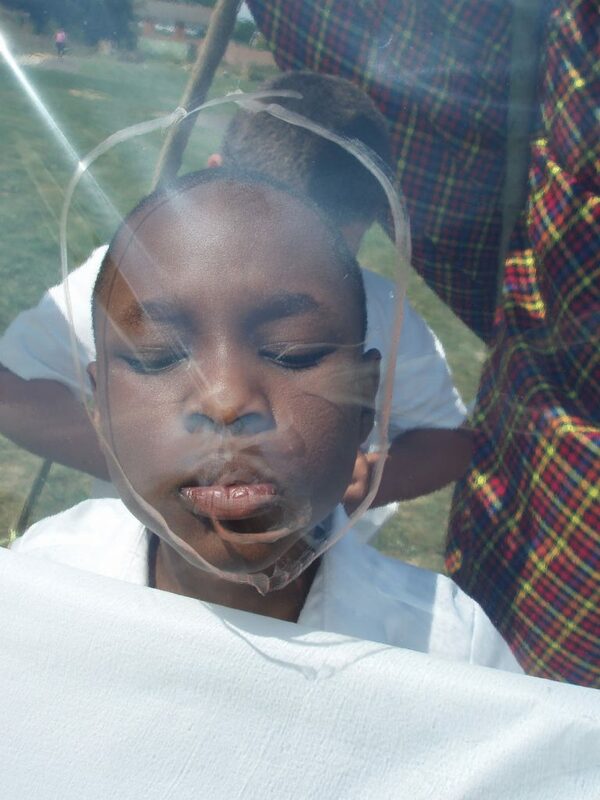 We made a drawing structure – a frame that could easily be brought out and “planted” in the ground for the attachment of different drawing surfaces, instruments , sensory materials . I made an interactive screen / den for the playground which had lots of possibilities for continuing use and development as an outdoor educational resource and play structure and den. 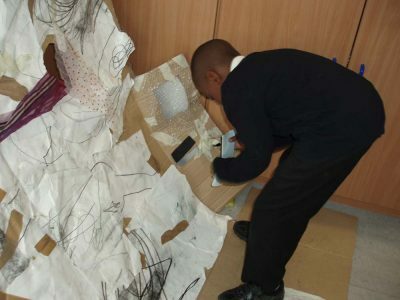 Ideas from this project went on to inform my next creative partnerships project at St Benedicts.